Now, let’s say that I want to assign Team A to all Tasks, and I want to assign only 300% per Each Task. Of, course I can do it Task by Task, but I want to do that all in once. If I want now change Units from 300% to 350% for all Tasks, I will follow same steps. 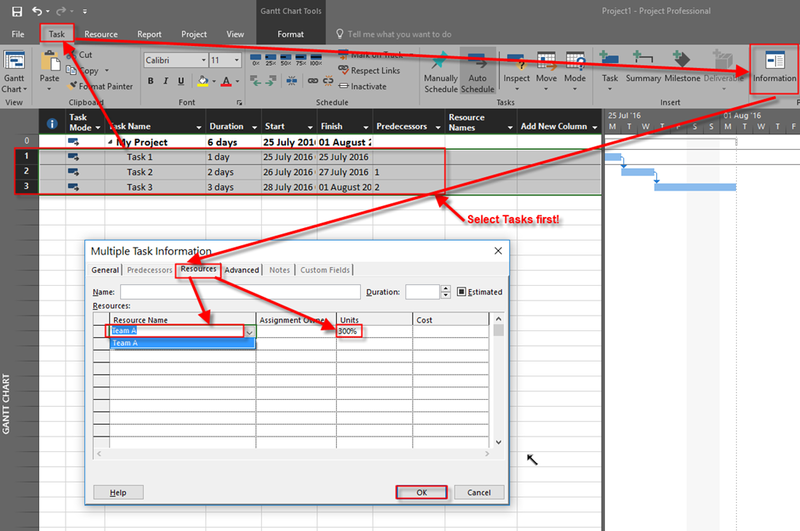 This entry was posted in MICROSOFT PROJECT, Microsoft PRoject 2010, Microsoft Project 2013, MS PROJECT 2016, PMI, PRoject Management and tagged Micorosft Project 2016, Micorosft Project 2016 - Resources, Micorosft Project 2016 - Tasks. Bookmark the permalink. Awesome Post, Very helpful.Kudos to you Nenad. I just figured out that in the “View” tab, there is a group by option and if I group by resources, I get a continuous list of tasks by resource. So now the selection is easy and i can click the task information and change the resource units ( or anything that can be changed using the task information). Nenad – Thank you for your response. In the example you have used the tasks are all consecutive (lines 1,2,3) so selecting the task is easy. In my situation I have the tasks spread out across the project and at various “outline levels”. So I have to select each task line by line (as they are not continuous). If I filter the resource and select the tasks then the summary tasks are also selected and the resources also get assigned to the summary tasks. 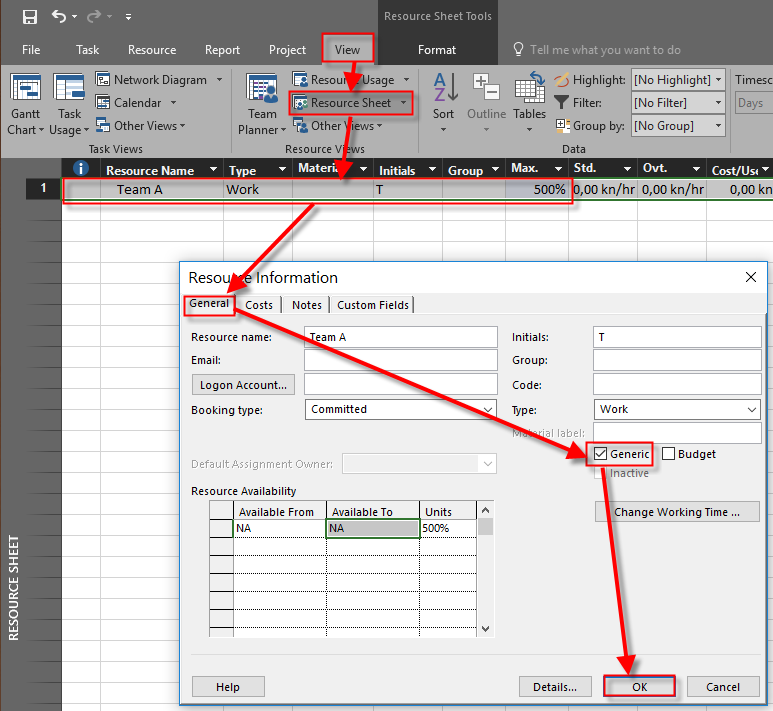 I was looking for a way to change the resource sheet for the resource and have the project plan – either update or recalculate based on the changes I have made on the resource sheet. Any suggestions or ideas ?